As the centre of global development shifts towards the Asian Pacific Region, the geopolitical importance of Central Asia on the Eurasian continent has only been increasing. China and this extremely vast region, which is rich in various mineral resources, are closely linked both historically and geographically. The peoples residing along the Chinese state border and the Central Asian states are tied by kin relations that span centuries. 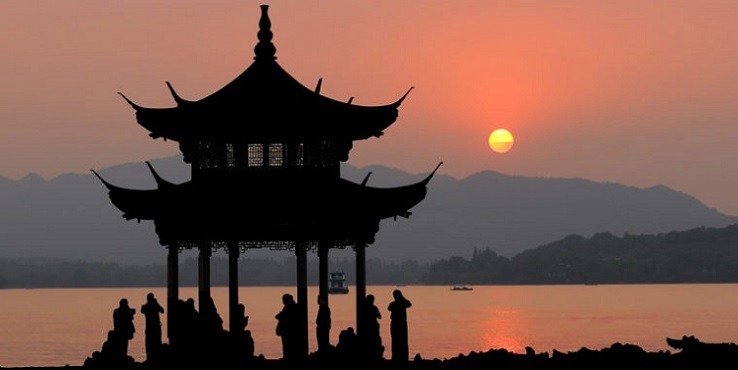 The first contacts of China with the peoples residing in that territory date back to 138 B.C. At that time, Emperor Wu of the Han dynasty sent his ambassadors to the territory of the current Central Asian states to seek help in the joint struggle against the Huns. In light of these realities, the cooperation of China with that region, which had enjoyed a rapid boom over the last years, has been notably transforming into very close ties. In terms of economics, China is making no secret of its serious intentions for the neighbouring and nearby Central Asian countries, which are rich in mineral resources and in dire need of financial and trade partners, in terms of coping with its tangible deficit in resources and market issues. However, for Beijing, Central Asia is beyond any doubt strategically important in ensuring the national security of contemporary China, as it is a kind of heartland and a backbone amidst the US military efforts extending throughout the pacific area, which have been increasingly unsettling to Beijing. Over the last two decades, China has been actively offering financial assistance to its new and promising partners, thus demonstrating its willingness to increase its investments in joint projects. For example, Kyrgyzstan is the only country in the Central Asian region that has been receiving cheap loans from the People’s Republic of China (PRC). For their part, the Central Asian countries, experiencing a shortage of industrial commodities, have been capitalising their territories, that is, marketing their mineral resources and energy commodities, allocating land for the laying of pipeline mains, rail roads and motor ways and developing their infrastructure facilities, whereas the tough-minded China could not miss the chance. As a matter of fact, the entire region has been viewed by China as a transit space with an eye to a less vulnerable (as compared to the marine route) access to the Trans-Caucasian region, Europe, Middle East and Mediterranean, thus, recreating the Great Silk Road. The promising-for-China Eurasian corridors and better rapid-transit and cheaper routes, as compared to Northern Russia access paths, have been put in place. Besides, China has, in the Central Asian states, acquired major suppliers of resources, which it needs for a long-term perspective, and has secured recipients of different “made-in-China”™ goods. Thus, China has been importing significant volumes of oil and non-ferrous metals and above 50% of its imported gas bought in that region at suitable prices. China’s relations with Kazakhstan present a vivid example of its cooperation with Central Asian states. Kazakhstan has for many years been a major world producer of uranium. Approximately 40% of world uranium is produced from its mines. Additionally, Kazakhstani uranium is one of the cheapest in the world in terms of its production costs and, due to this, it influences this commodity price at world markets. China has been the largest buyer of Kazakstani uranium since 2012, covering recently two thirds of its imports by uranium deliveries from Kazakhstan. Whereas the PRC used to buy only 1,750 tons previously, since 2012, it increased its purchases almost six-fold, with the purchasing peak reaching almost 15,000 tons in 2013. Interestingly, it is noteworthy that China needs about 8,000 tons of uranium for its reactors, of which 1,600 tons are extracted domestically. Therefore, Beijing should import only slightly over 6,000 tons, whereas the actual import volume is three times more – approximately 10,000 tons of uranium annually starting from 2010. In other words, China has stockpiled at least 70,000 tons of uranium. This can be explained to some extent by the fact that the nuclear industry now occupies a priority place in the PRC. China is currently shifting away from using coal as a primary energy source, as it not only pollutes the air and the environment, but also creates problem in terms of transportation. By contrast, the nuclear power generation industry, with all its complexity, has an essential strategic advantage – it is not so much dependent on fuel deliveries like thermal power generation plants. Besides, an NPP can build up a fuel stockpile for several years, thus creating an energy reserve against the possibility of a sea blockade, which has recently been a special concern for Beijing due to the increasing aggressiveness of Washington against the PRC. Considering the willingness demonstrated by China to invest its funds in the economies of the Central Asian states, Kazakhstan has been recently advancing its agricultural products to the Chinese markets. Apart from its traditional export of wheat, Kazakhstan plans to export oil, corn, meat and feed grain to China. The relevant contracts have been already signed; Chinese businesses will invest almost USD 1 billion in the agriculture of Kazakhstan. This summer, at its own expense, China commissioned a veterinary laboratory as a measure to set up the export of agricultural products from Kazakhstan. The link between China and Central Asia, which can be described as a result of the merging of the interests of the parties involved, has been materialising, and promises to be a steady and lasting trend. In recent years, it has given a boost to cooperation in law-enforcement and counter-terrorism efforts. According to Chinese experts, the counter-terrorism concerns of Central Asian states are very much similar, including the need for increasing the legislative pressure in the issues of the war on terror and the associated war on the drug-trade and slave-trade, national separatism and the inability to counteract the external ideological and financial support to religious extremists. For that reason, the PRC can be expected to in the near future gain more political influence on the law-enforcement and judicial systems of the Central Asian states within the counter-terrorism efforts based on the “economic aid in exchange for crack-down on religious terrorism” equation. This scheme implies, in particular, that new preferences be secured for Chinese law-enforcement and secret agencies in their activities within those states under the pressure of rendering economic aid and signing profitable economic contracts; and also, that the information exchange for counter-terrorism efforts is an ongoing cooperation. Thereby, Beijing aspires to protect its political positions and economic interests in the territories of the states that are its nearest neighbours. Beijing is concerned that a good deal of the Uyghur terrorists from the Turkistan Islamic Party involved in the Syrian conflict, which, according to different estimates, amount to 5 thousand militants or ¼ of the ISIS fighters, could after the defeat of ISIS move back mainly into Central and South-East Asian states. Therefore, an outflow of militants who were involved in the Syrian and Iraqi conflicts added up to the previous threats coming from terrorist organisations and Uyghur separatists, who have immigrated to the countries of that region since the beginning of 2016. Beijing is using its economic leverage to force the states of Central Asia to extradite the Uyghur suspected of terrorism in the PRC. With that in mind, Beijing has initiated a practice of engaging its law-enforcement and secret service agents in investigations of terrorism-related cases for consultative services and (in some instances) guidance provided to the security agencies of the countries of that region. It is no secret that many analysts view the Chinese ambitions to lay its trade routes through the vast internal regions of Central Asia and increase its investments in the region, along with enhancing cooperation in law-enforcement and counter-terrorism, as a deliberate Chinese strategy to create a safety zone around its troubled western Xinjiang region. This is more of an umbrella concept. The Chinese leadership understands that a lot of diplomatic work is still needed, because so far, only a few countries and politicians can be sold on its diplomatic mantra about “mutual benefit”. The growing power of China is dubiously being perceived in Asia and beyond, and it is no secret that the political implications are differently evaluated in different world countries. Mao Tse Tung once predicted that “the east wind will sooner or later prevail over the west wind”. If he was right, all of us will soon sense the power of that wind, and we will all be able to sense and comprehend both its good and bad.